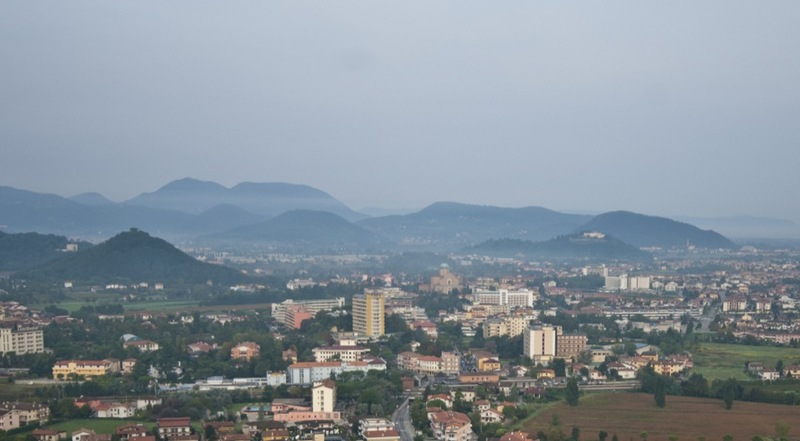 Around 1872, some casual findings persuaded Pietro Scapin to go on a dig within his estate, located not fat from the Chiesa di San Pietro Montagnon – beside the homonymous hill. 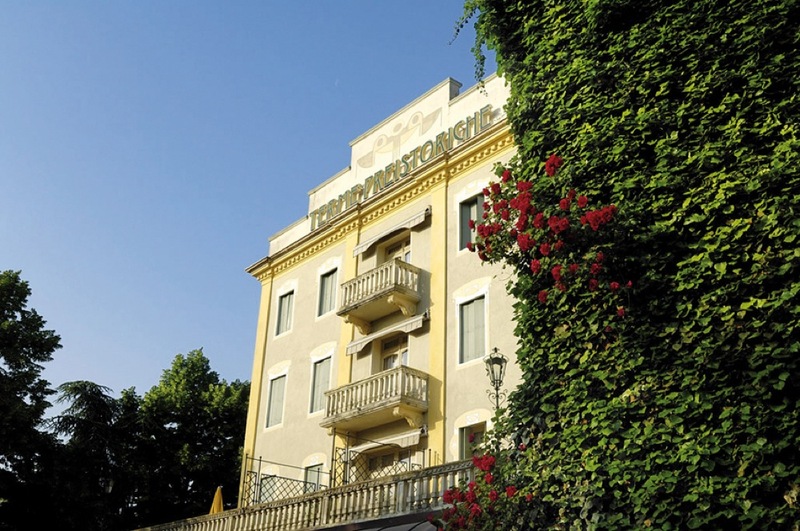 Among the items discovered on that occasion, only 180 little vases and 16 bronze statuettes were given in 1878 to the Musei Civici di Padova by Scapin’s progeny; all the rest got lost. 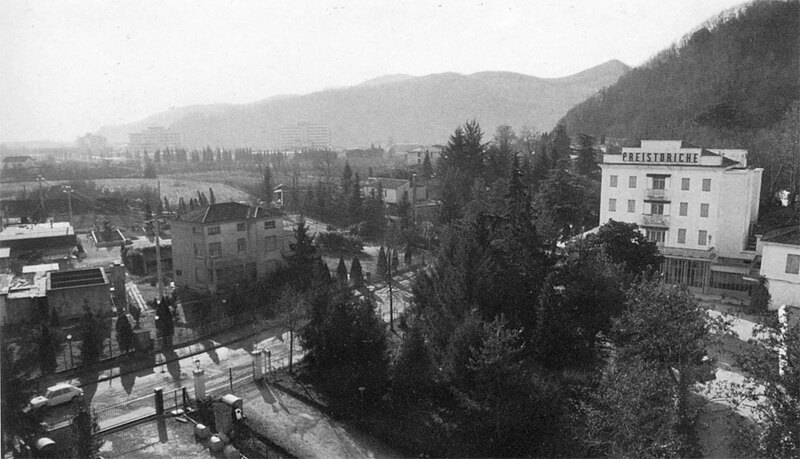 In 1892, the engineer Federico Cordenons, during systematic surveys within Scapin family’s properties commissioned by the township of Padua, located a section of the bank of the ancient little lake, buried under an approximately one-metre stratum of erosional materials coming from Monte Castello. 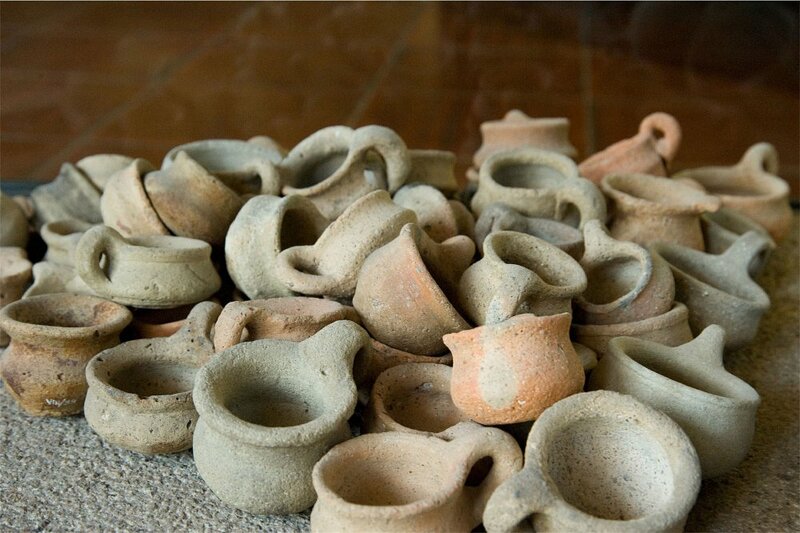 The objects discovered on that occasion were firstly stored in Villa Draghi and afterwards scattered. 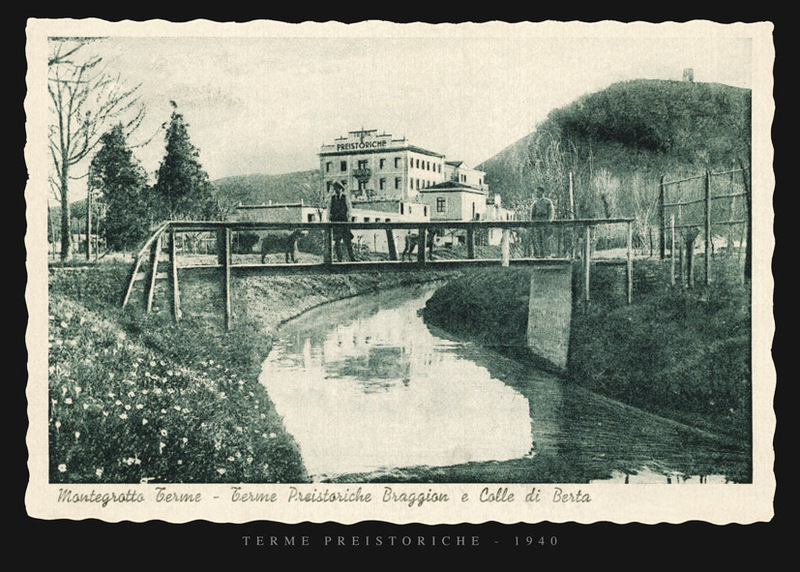 The systematic excavation of 1911, wanted by Giuseppe Pellegrini (the then Soprintendente alle Antichità) and carried out by Alfonso Alfonsi within the same area (today owned by the Braggion family), allowed to better define the borders of the stretch of water; thousands of finds, vessels and bronze objects mingled with black soil, coal and animal bones were discovered on that occasion. 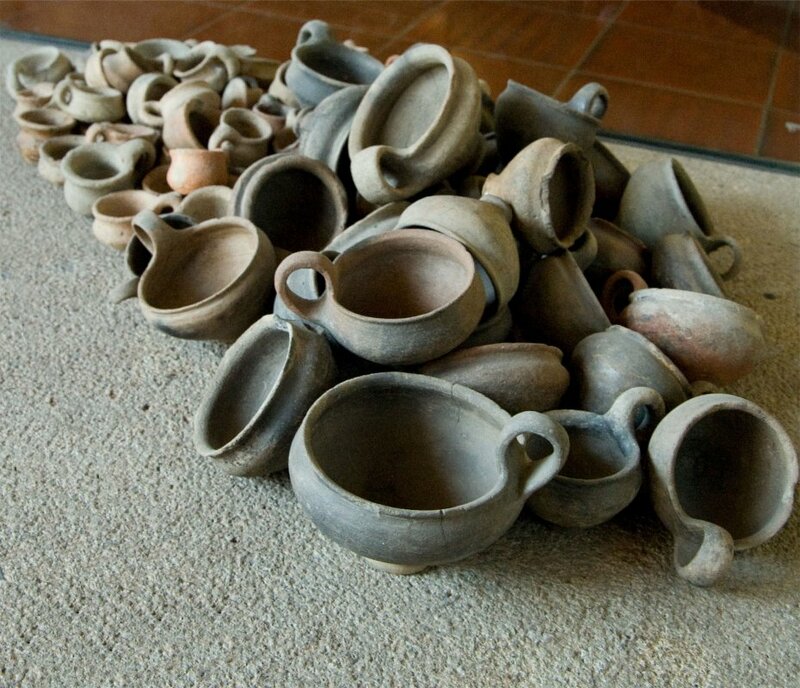 As Pellegrini chronicled, 3.500 undamaged vases were gathered in only 12 m³ of ground; however, the number of fragments that the excavators did not retrieve let scholars presume a three-time bigger original amount of items. 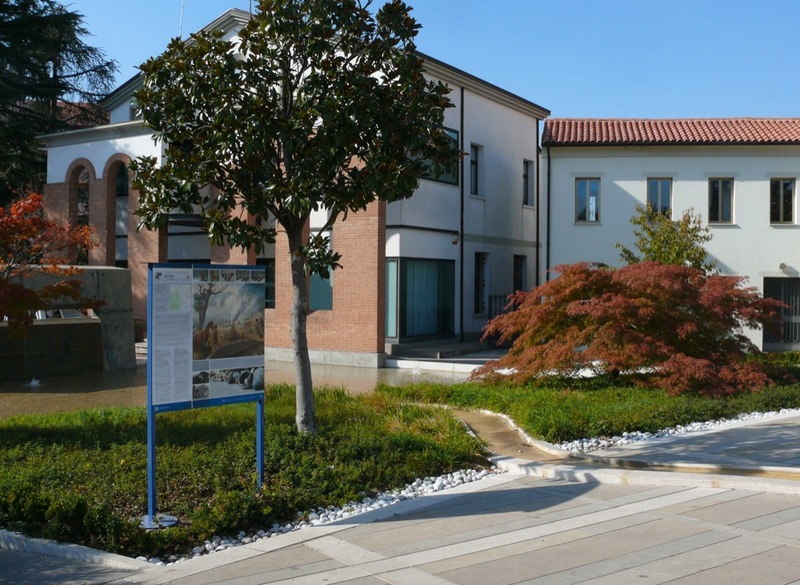 The finds were afterwards stored in the Museo Nazionale di Este, under the appellation “Fondo Braggion”. 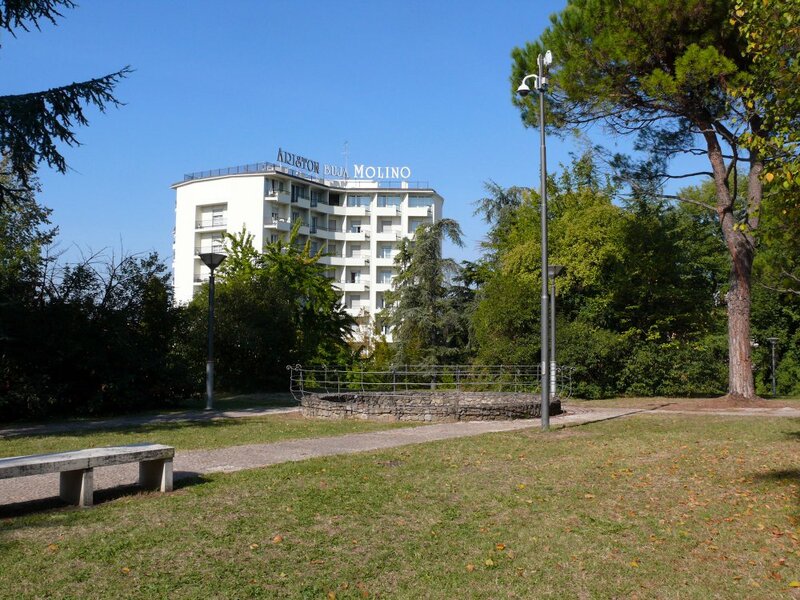 In 1954, following an occasional circumstance such as the planting of a magnolia beside the east side of the Terme Preistoriche Hotel, another crammed accumulation of vases of various dimensions was brought to light; these finds got afterwards lost. Rare findings refer to a presence in this area in far-off times. 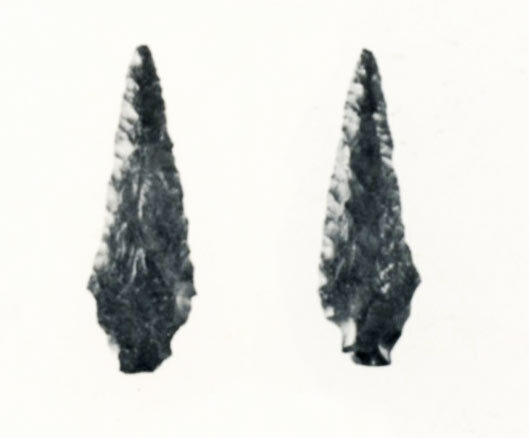 The flint poniard presumably connected to the “archaeological layer” rich in coal discovered in 1892 (surely preceding the sacred place) is datable between 2.400 and 2.100 B.C. (Late Copper Age and beginning of Early Bronze Age. As in the case of the archaeological site at via Neroniana, this kind of discoveries seems to attest more likely an episodic presence (e.g. hunting battues) rather that a geographically stable settling during the Copper Age. 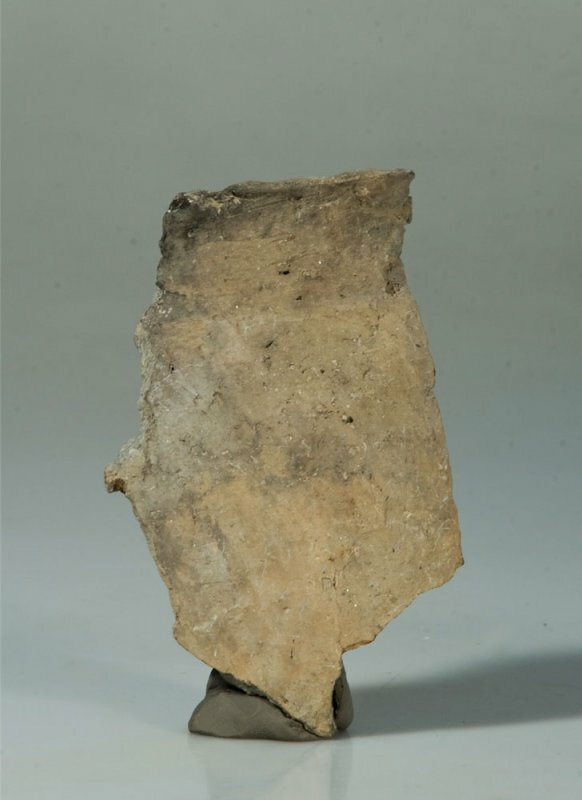 The fragment of the handle of ceramic vase found here is datable between 15th and 14th century B.C. ; this find is presumably connected to some oak piles discovered in 1911, sunk into the bed of the ancient stretch of water – later become a sacred place; initially interpreted as part of a religious aedicule, these piles seem to refer more likely to a palafitte (stilt house). Several fragments of ceramic vessels datable between 10th and 9th century B.C. 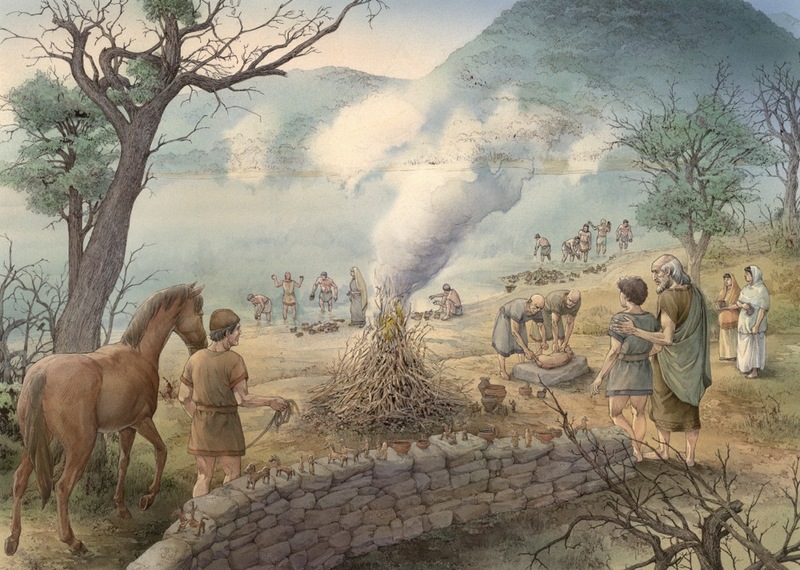 (end of Bronze Age, beginning of Iron Age) seem to refer to an initial and limited religious use of the thermal sources. The sacred place was in use between the mid-7th century and the 3rd century B.C. (Iron Age); its natural landscape – and not an artificial structure – had to be the scene of the worship. In particular, a key role was assigned to the stretch of water, shaken by underwater springs emanating thick acrid fumes (at that time an unexplainable – and therefore scary – phenomenon). 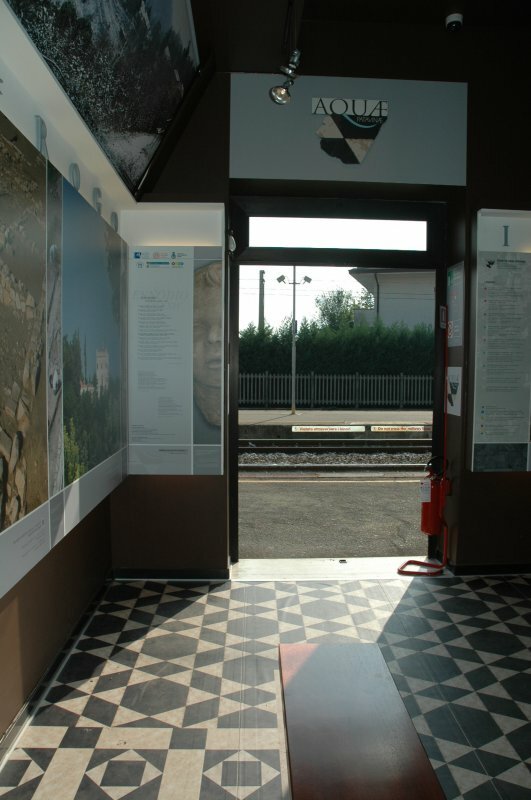 It was possible the presence of simple fences to mark the spaces of the sacrifices and of the ceremonies reserved to priests, as it occurred in the coeval sanctuaries of Este and Altino. As for the oak piles found in the midpoint of the stretch of water, it seems more likely that they belonged to a more ancient palafitte rather than to an aedicule consecrated to the godhead. For centuries, the devotees came on the banks of this “little lake” to accomplish their rites: thermal water presumably had a key role within this ceremonial. The votaries offered libations, either using real cups, bowls and glasses that were afterwards given to the godhead as presents, or symbolically dedicating similar miniaturized vessels: these containers were sometimes moulded perfunctorily at the moment, using the clay of the lake shore. The devotees of high social standing also offered bronze statuettes representing cavalrymen, warriors and above all horses, along with engraved bronze laminas, fragments of gold foils and other little delicate objects (owing to their brittleness, the first excavators did not retrieve these items). 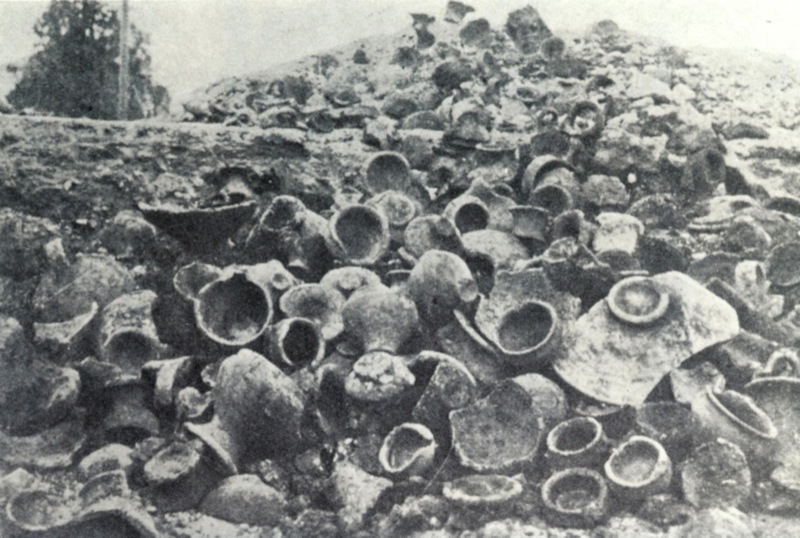 Judging from the great quantity of “ex voto” found during the various campaigns of excavation (Pellegrini mentions the discovery of more than 3.500 vases, forecasting at least “three times more”), the sacred place was not only attended for centuries, but also used contemporaneously by a considerable number of devotees. Other ceremonies entailed the offering of the first fruits of the land and the sacrifice of domestic animals (such as oxen and sheep, symbols of cattle-breeding) or wild beasts (such as the deer, symbol of hunting): as a matter of fact, bones and horns mixed with traces of fire have been abundantly found in this area. 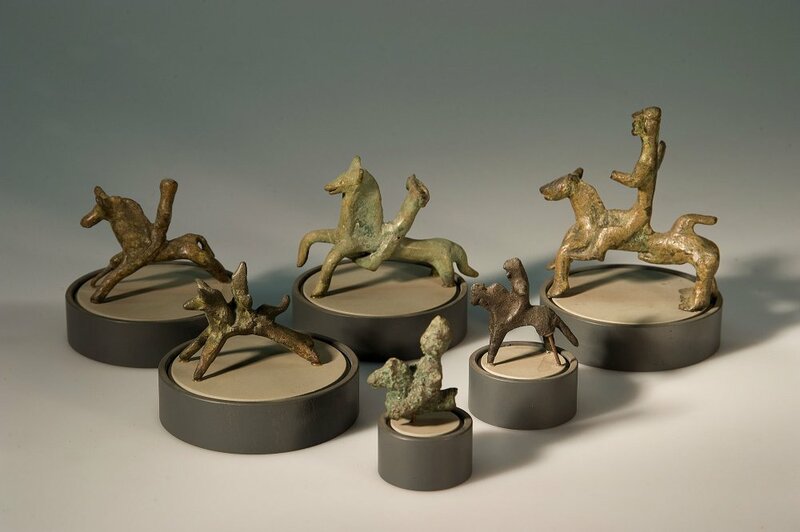 The simple dedication of bronze horses replaced in a symbolic way the sacrifice of these precious animals, for which the ‘Veneti’ were renowned in ancient times. The name of the godhead to whom the sanctuary was dedicated still remains unknown. The only inscription discovered in the site seems to refer to a male godhead, a male just as “Aponus”: supposed heir to the thermal deity adored by the ancient ‘Veneti’, this god was worshipped in these places during the Roman age. Given the abundance of horses among the “ex voto”, it could also be presumed an affinity with Diomed, god-hero and horse breeder par excellence. The sacred place, located far from built-up areas, lay in a strategic position at the border between the territories of Padua and Este. It is not sure which one of the two cities controlled the sanctuary; however, the typology of the bronze “ex voto”, the masculine connotation of the godhead and the topographical position of the site more likely refer to Padua. 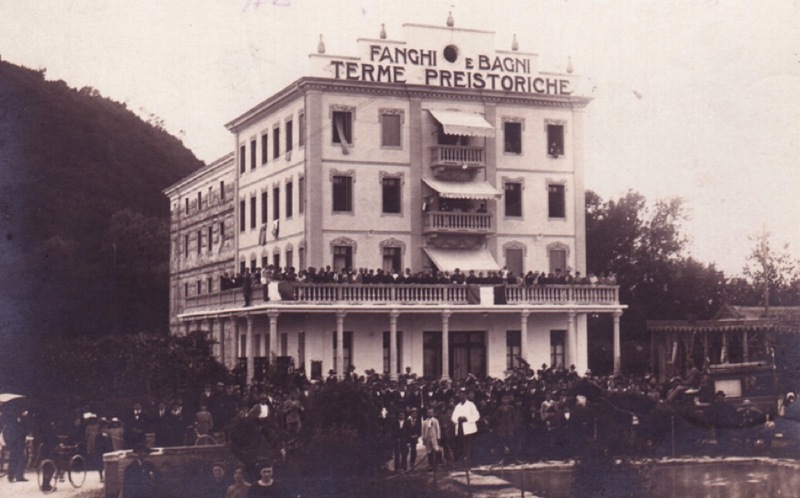 As a matter of fact in the 2nd century B.C., at the beginning of the Roman age, the Euganean thermal area was under the aegis of Padua: presumably, the new administration simply made official the previous state of affairs. 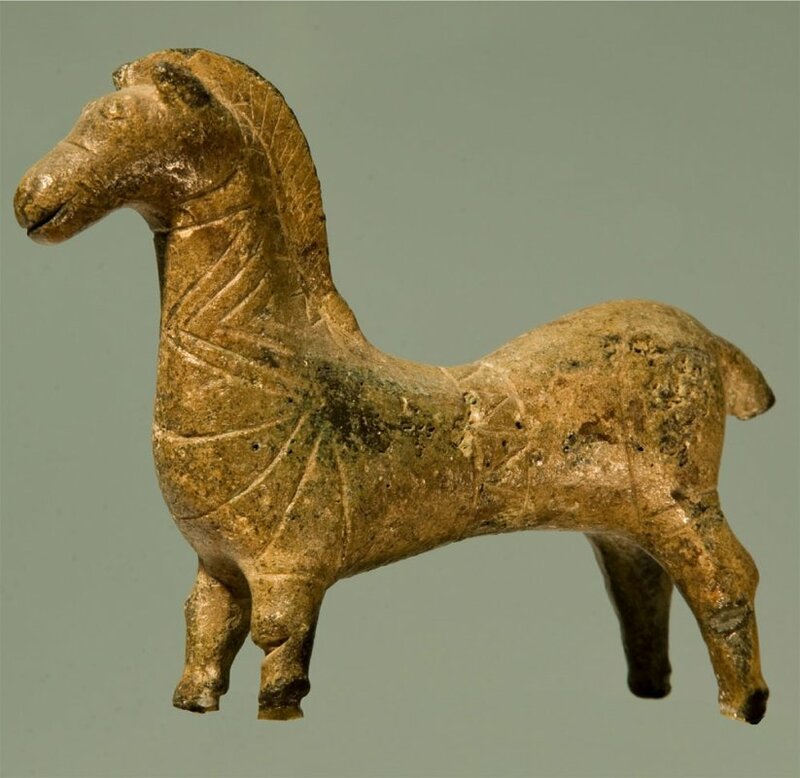 The most recent finds discovered in the area date back to the 4th- 3rd century B.C. : nothing else was found afterwards. 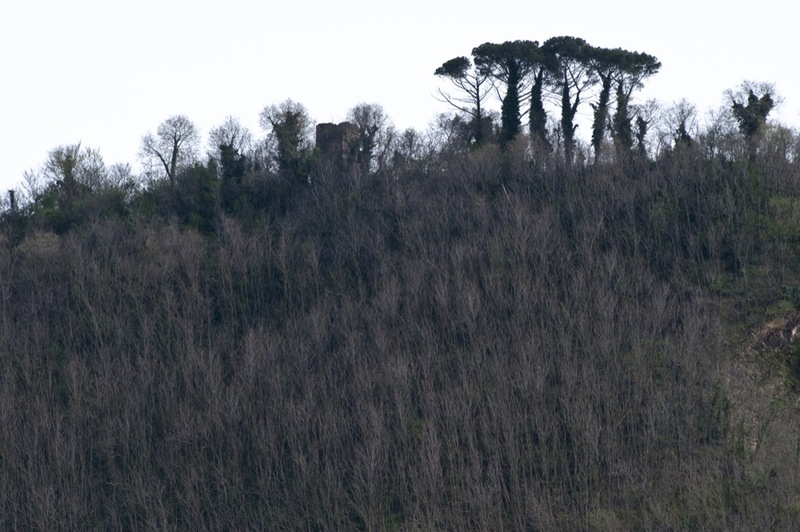 The sacred place was presumably abandoned owing to the steady depletion of the stretch of water; finally, a sewage of erosional materials coming from Monte Castello filled up the lowland. Later on, a few Roman objects (one coin, some fragments of vases) were found upon the stratum that sealed the area of the little lake; however, these discoveries only attest an occasional presence in the area. Phase preceding the sacred place: Late Copper Age or beginning of Early Bronze Age (approximately 2.400 – 2.100 B.C. 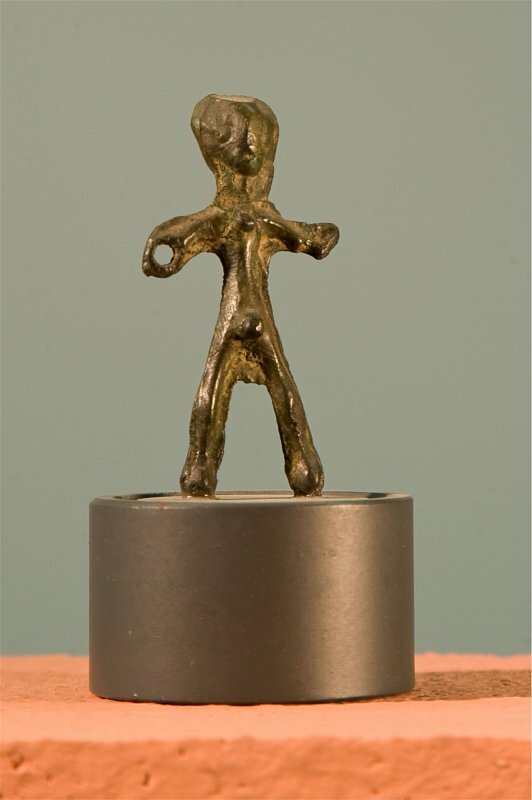 ), Middle Bronze Age (15th-14th century B.C. 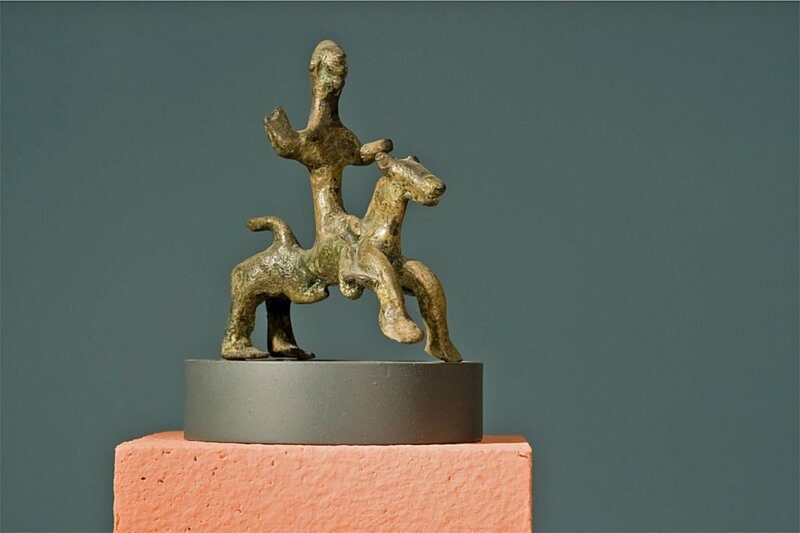 ), Late Bronze Age and Early Iron Age (10th -9th century B.C.). Sacred place: second half of the 7th- 3rd century B.C. Abandonment and later occasional presence: after the 3rd century B.C. 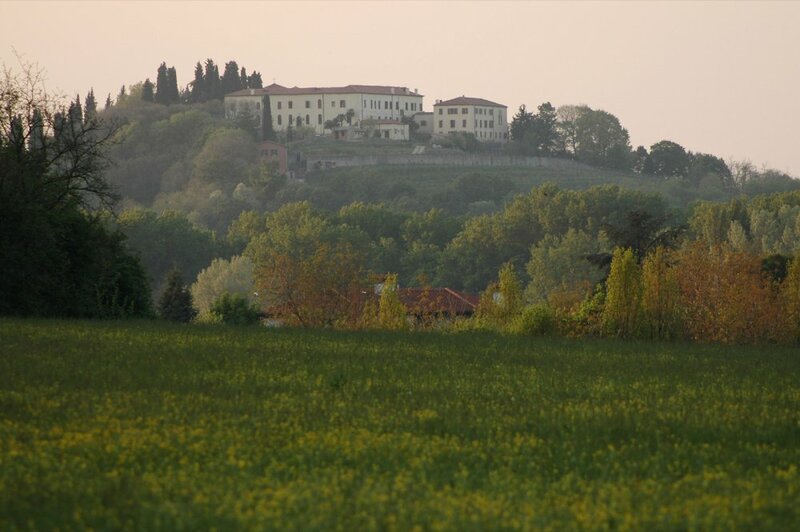 The sacred place rose on the lowland located between the north-west slopes of Monte Castello and the north-east side of Colle San Pietro Montagnon or Montagnone. 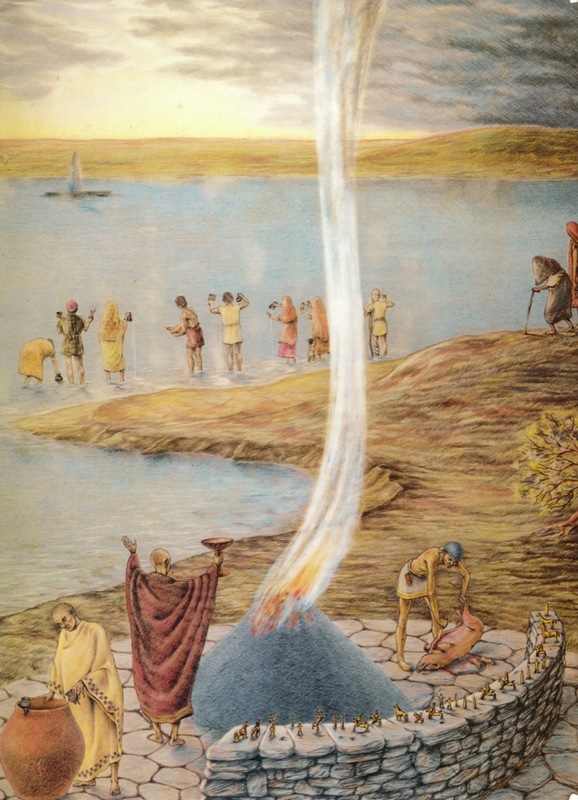 The size of the ancient stretch of water, heart of the sanctuary, is under examination; initially (1892, 1911), scholars hypothesized a 2 km2 single basin, fed by two different water springs (only one was thermal). Padova preromana , Padova 1976, pp. 197-218, tav. 38-44. 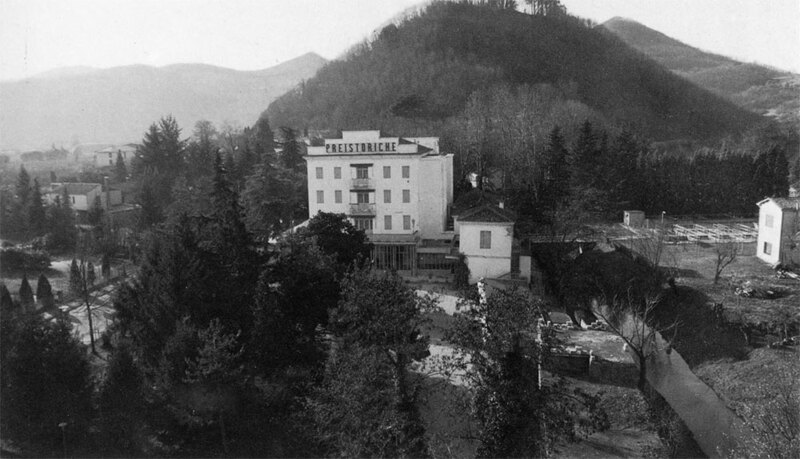 Dämmer H.-Z., San Pietro Montagnon (Montegrotto). 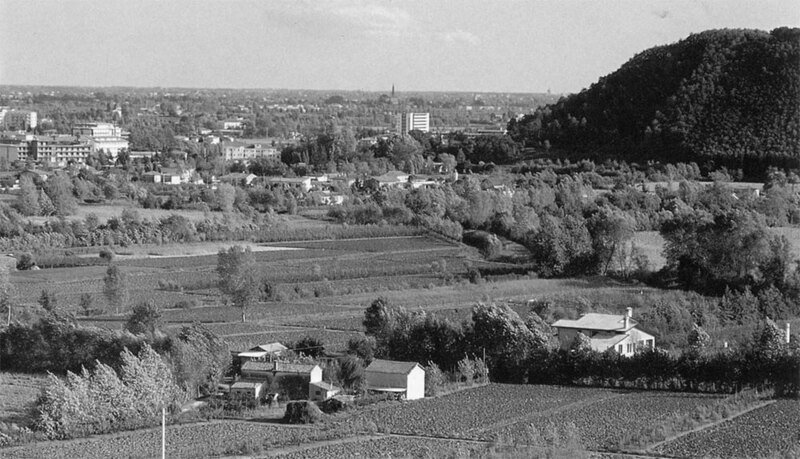 Ein vorgeschichtliches Seeheiligtum in Venetien, Mainz am Rhein 1986, pp. Band 1, tav. Band 2. 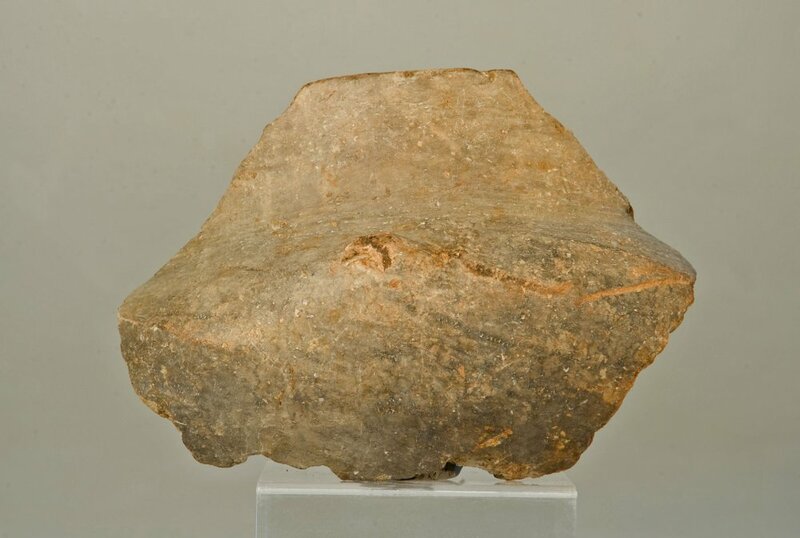 Undamaged flint poniard, obtained from its raw form by “carving” the whole surface (covering retouch) and both sides (bifacial retouch) with a hammerstone (or percussor), by progressive detachments of flakes : the result is a fine and flattened tool (flaked). In technical jargon, this tool can be defined as a poniard worked with “bifacial covering flaked retouch”. At the bottom of the blade there is a rectangular section ending, called tang. The poniard was mainly conceived as a weapon, but it could also be a multipurpose tool designed for all kinds of cutting and carving activities. The tang served to insert the blade into the hilt, which was made of wood; the point of junction could be strengthened with resins and/or strings made of animal or vegetable fibre. Final section (apophysis) of an earthenware vase handle (”ansa”). The handle has an arched outline, with slanted and flattened lateral expansions. The apophysis is decorated with horns. The “ansa” is the handle of a vase; the horned apophysis, with a merely decorative function, was frequently applied to fine table vessels, such as cups. Cronologia: 10th- 9th century B.C. 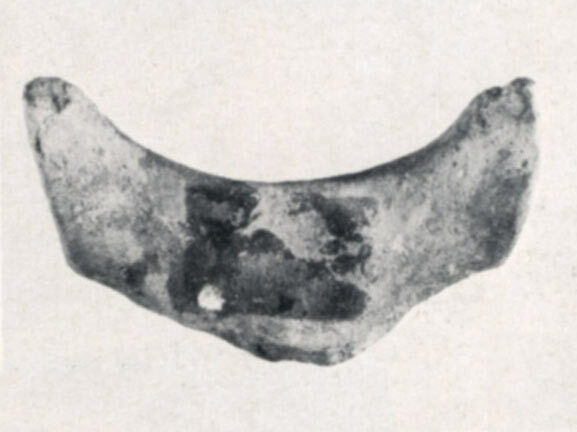 Three fragments of pottery vessels, made of a clayey mixture enriched with insertions – which were obtained grinding unserviceable vases (chamotte technique) together with rock fragments. The vases were moulded by hand (and not turned on a lathe) and afterwards cooked in proper kilns. Fragment A was part of a cup with a truncated-cone-shaped neck, decorated at the bottom of the neck with bunches of horizontal grooves and on the main body with an ornament that gives the effect of a crispation, a sort of curling upwards of the surface (therefore called “a tortiglione”, that is a sort of twisted spiral decoration). 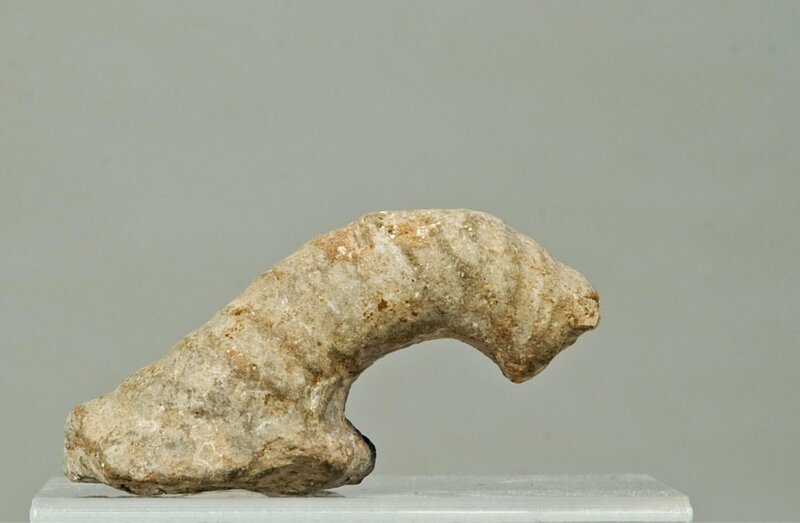 Fragment B is a horizontal handle (“ansa”) with a twisted spiral decoration. 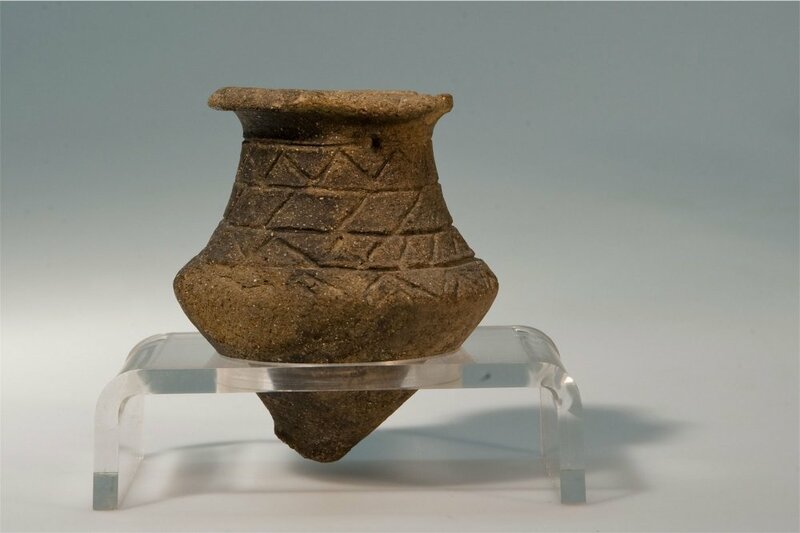 Fragment C was part of a pot (“olla”); its rim was decorated with a “false plait” pattern. 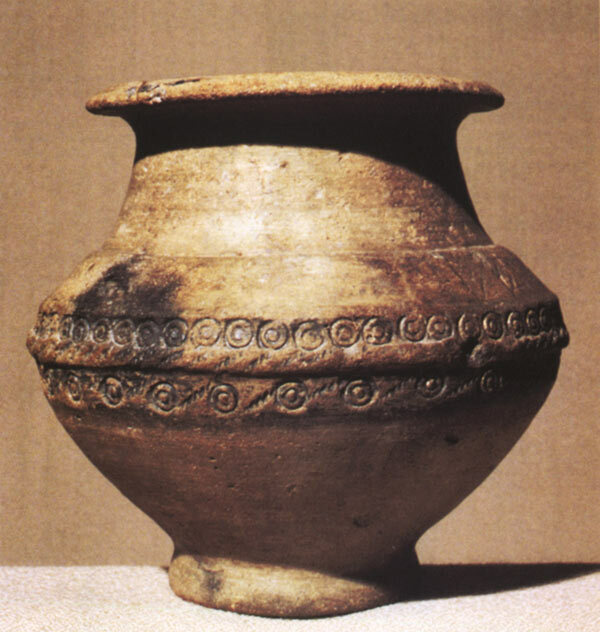 This kind of vessels was commonly part of the domestic set for the preservation and cooking of foodstuffs (“olla”) and the consumption of beverages (cup); however, it could also be found in a funerary context, included in the grave goods that were laid beside the deceased persons for their journey in the afterworld. Given that in the area where these items were discovered an important sanctuary developed from 7th century on, it is also presumable that they could represent the remnants of a first and limited use of this place and its thermal waters for the accomplishment of religious rites. Undamaged pottery bowls, cups and glasses. Some of them have the same size of the vessels normally used in houses or laid on graves: manufactured with accuracy, they were turned on a lathe and had thin walls and a smooth external surface. In a few cases, some portions of the vase are polished and engraved with radial or reticulate patterns which stand out against the opaque surface, creating a pleasant chromatic effect (“stralucido” decoration). On the other hand, most of the vessels are rather small-sized, sometimes with the capacity of a finger cot: these miniaturized exemplars were made perfunctorily, moulded rapidly by hand with the clay of the lake shore. Two little vessels present a biconical main body, an elegant geometrical ornamentation (deeply carved and filled with a white paste), and two appendages at the bottom (which evidently did not permit the vase to stand up on its own). The vessels are “ex voto”; the fact that these containers were exclusively aimed at drinking probably refers to the rituals of consumption, libation and offering of water that took place at the sanctuary. The two biconical little vases with appendages at the bottom (were presumably placed upon a support, perhaps the rim of a big ceremonial vessel. 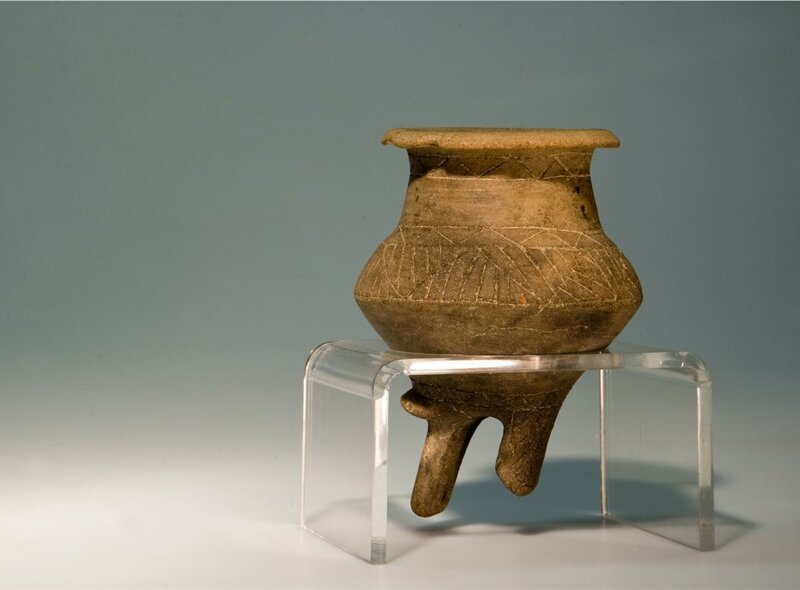 Undamaged ceramic vessel manufactured with accuracy; the item presents a biconical main body and a large, bell-shaped mouth. All along its maximum diameter the vase is decorated with circlets and strokes which seem to draw a little stamped rope (“thin rope” decoration), while the main body presents polished and radial engraved portions (“stralucido” decoration). A right-handed inscription in Venetic language is scratched on the shoulder of the item; it is possible to read “Hevissos …oi fagsto”, that is “Hevissos have made/dedicated for/to…”. Object of the dedication was this same vase; the second word of the inscription, which mentioned the name of the addressee of the object, got completely lost owing to a deep corrosion of the surface; only the dative termination still remains, at least clearing up that the receiver was masculine in gender. This addressee most probably was the godhead worshipped in this sacred place. 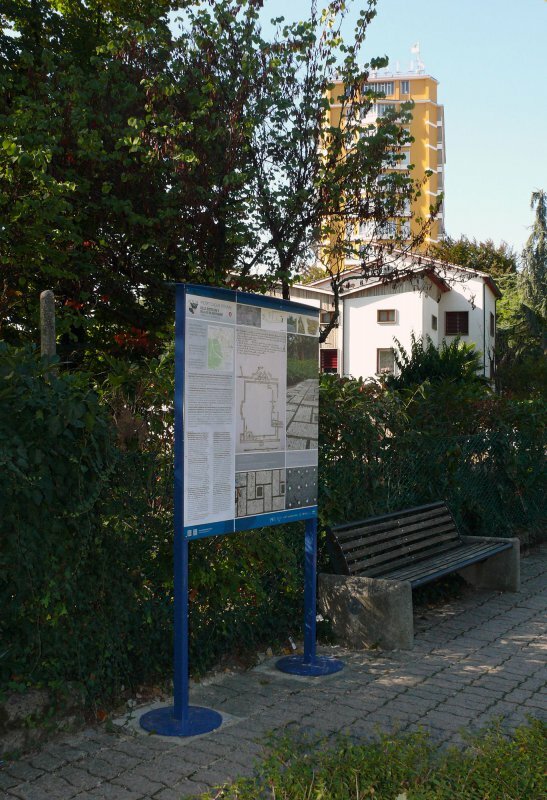 The vessel was an “ex voto” dedicated by the devotee “Hevissos” to the godhead of the little thermal lake. 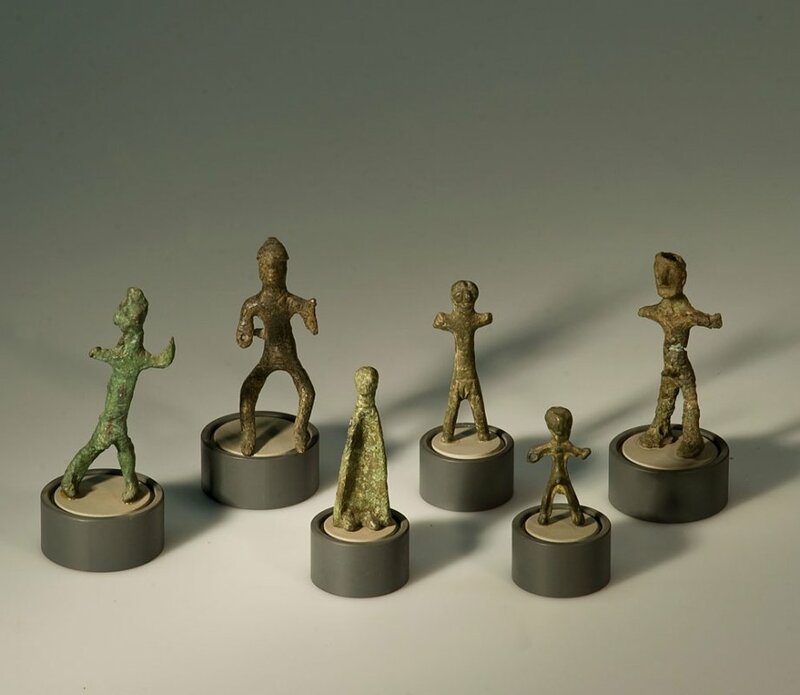 Bronze statuettes found undamaged. The horses have a lengthened body and short paws: their shape is either squat or excessively slender, with basic anatomical details. Only one of them stands out for a greater accuracy in the execution and a more realistic rendering of the forms, emphasized by carved details. Some exemplars show visible cracks ascribable to casting defects, evidence of the fact that the gesture of the offering was more important than the aesthetical quality of the item. The cavalrymen are naked but armed, with their arms and legs wide apart; their head shows a concise hint of the helmet, while spear and sword (not preserved, perhaps originally made of perishable materials) had to be taken up in the right and left hands respectively. Cavalrymen were generally molten in a single piece together with their horses; only one of them was moulded separately, but the horse got lost. 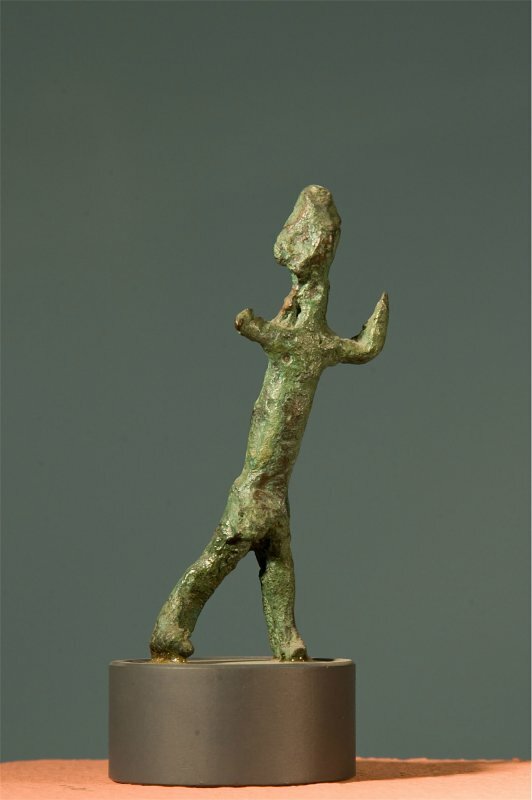 Other bronze statuettes represent warriors, rather stylized and disjointed naked male devotees, and only in two cases female devotees, both wrapped in a long cloak and without any hint of anatomical details. The statuettes represent “ex voto”, which were offered by the devotees to the godhead of waters. The offering took place at the sanctuary; the “ex voto” were probably staked upon wood or stone supports (which were sometimes carved, sometimes not) and therefore put on display – as it happened in other contemporary sanctuaries of Veneto. 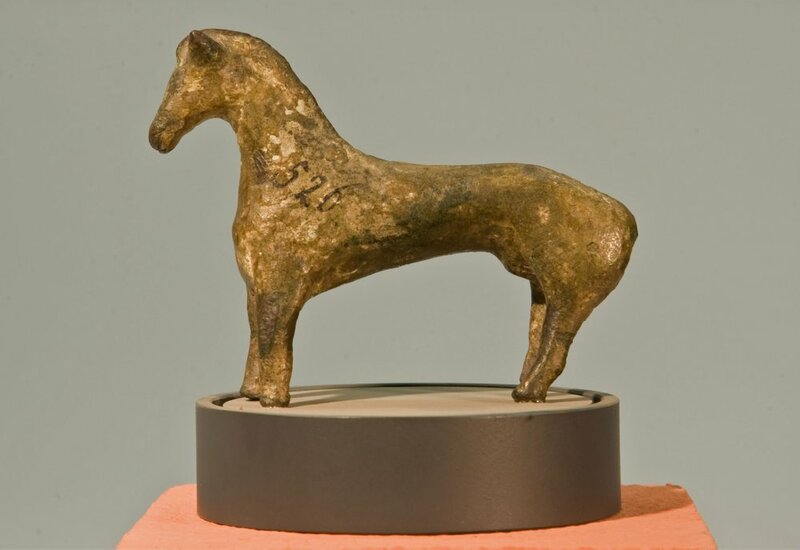 The dedication of bronze horses perhaps replaced the sacrifice of real live animals, besides representing a certain reflection of the renown achieved by the horses of the ancient “Veneti”; presumably, this circumstance could indirectly attest the cult of a godhead akin to Diomed (god-hero and horse breeder), who was widely worshipped in the Adriatic area.